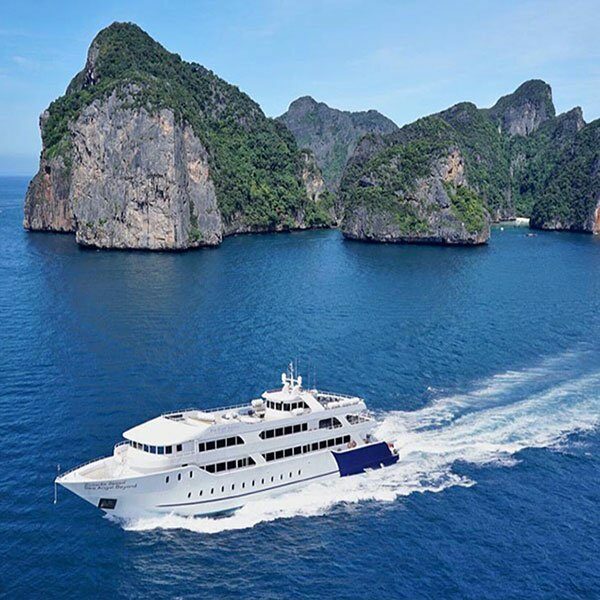 6 Island Tour Phi Phi Bamboo, Khai Nui Island, Koh Yao, Bamboo Island, Phi Phi Don island, Monkey Beach, Phi Phi Ley Island and Much more! If you are looking to fit as many different island locations in for a 1 day tour then this trip is the one for you. This is a really fun day so bring your energy because you will need it. When you check in you will be told about the days schedule and be introduced to your boat crew for the day. 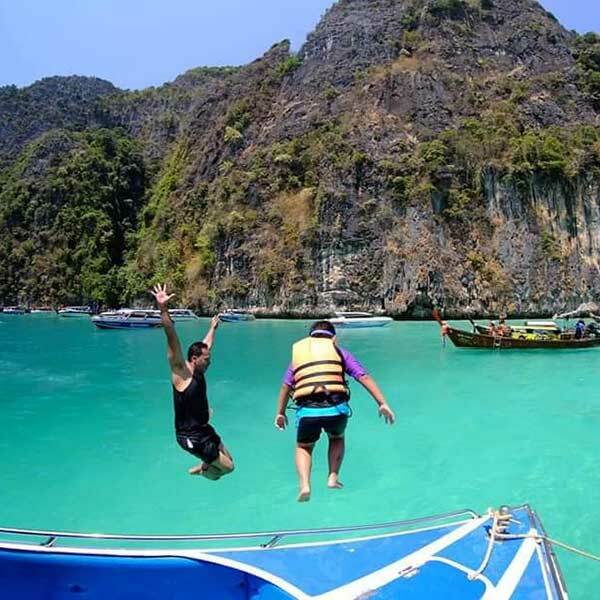 So contact us today and ask us about our 6 Island Tour Phi Phi Bamboo plus the rest of the amazing locations included in this trip. 07.45-08.00 We will pick you up from your hotel and take you to the Pier. 08.00-09.00 Welcome to Private Pier, guide informs all topics such as today’s program, the weather, the wave, the tide on the islands Map. 09.00-10.00 15 minutes explore by speedboat to Khai Nui Island. 45 minutes for the greatest snorkeling. 10.00-12.45 10 minutes explore to Koh Yao relax on the private beach or outdoor activities. Enjoy special set menu lunch. 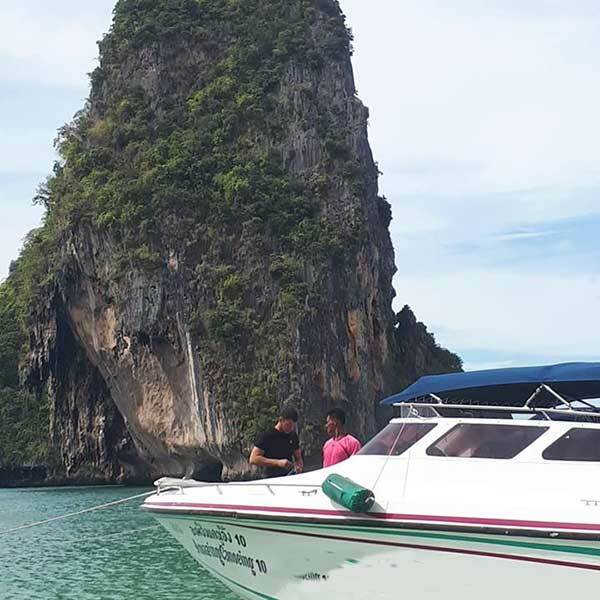 14.30-15.30 Go to Phi Phi Don Island and bays until boat stopped at Monkey Beach for taking photos. 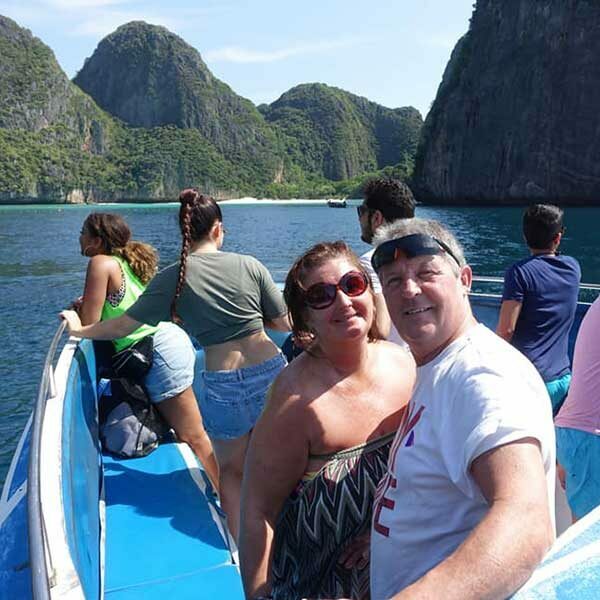 15.30-17.00 To Phi Phi Lae Island begin with the story of Viking Cave, Pileh Cove and Loh Samah Bay until relax at the famous Maya Bay more then 60 minutes.